There are several options for fossil hunting in SW Florida. Perhaps the best known is the Caspersen Beach area of Venice, Fl. From Caspersen Beach south to Manasota Beach, collectors can find vertebrate material either by 1) walking the beach, 2) scooping and sifting the coarse material at the water's edge or 3) snorkeling in a few feet of water. The most common fossils to be found are small shark teeth, chunks of bone (mostly dugong), horse teeth, sting ray tail spines, and fish mouth plates. Other options for collecting are presented below. As always, make sure you have permission to collect if you are looking at a site on private land. The Peace River and its tributaries cut down into fossil-bearing strata within Bone Valley. 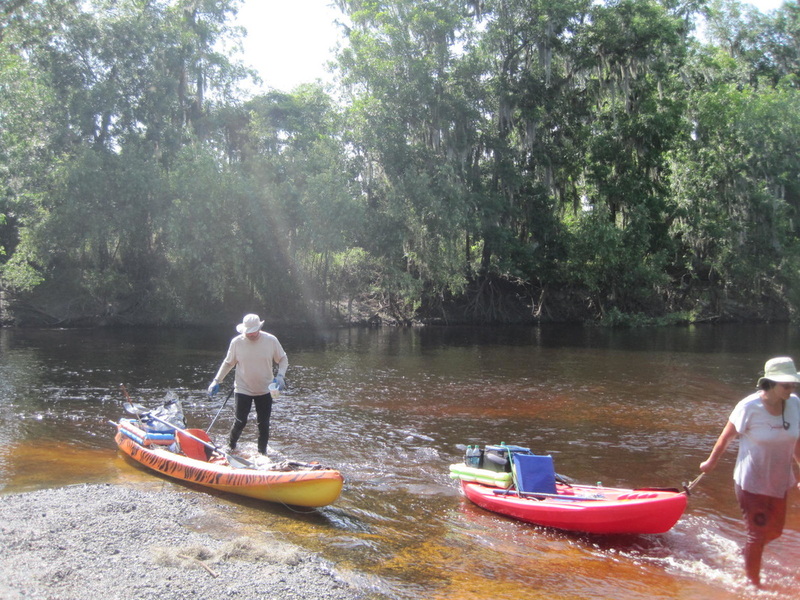 Either scoop and sift at sites such as the boat ramps at Arcadia and Brownsville or canoe/kayak on the river to reach the various gravel bars that are otherwise inaccessible. 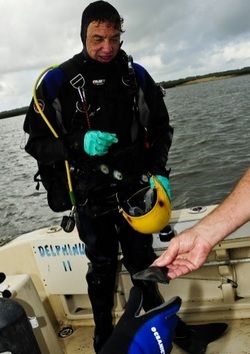 Scuba divers can find large shark teeth and other vertebrate material by diving off Venice Beach south to Englewood. The beds providing the material are the same Miocene-age layers in the Bone Valley. Water depth is 20'-30' although even the western side of the sand bars just off the beach can yield good material. Spoil piles sometimes are accessible in areas where construction projects or dredging have penetrated fossil bearing strata. Also, several of the various fossil clubs in SW Florida have trips during the year to collect from the spoil piles of phosphate miner Mosaic Corp. As always, be respectful of private property and do not trespass on posted sites.